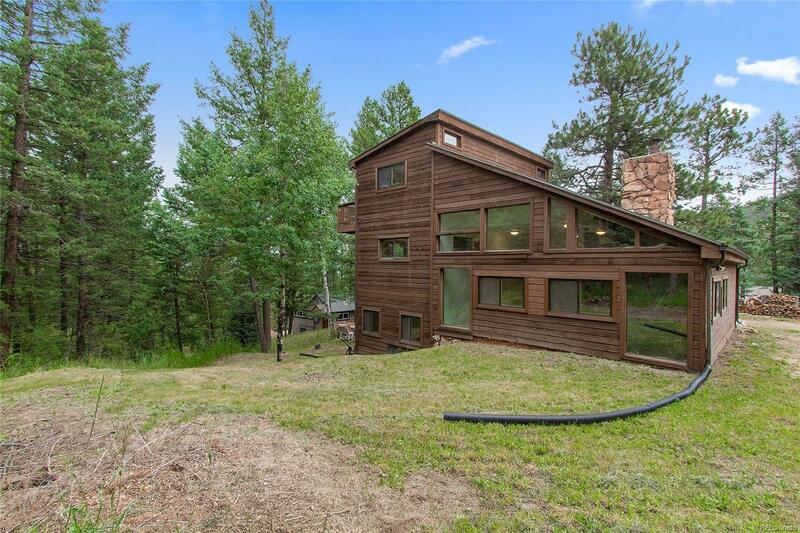 Lovely home nestled in the trees offers privacy yet close proximity to downtown Evergreen. Large family room captures private vistas and has a wood-burning insert to minimize utility costs. Kitchen is remodeled and overlooks the family room creating an open feel. Kitchen offers stainless appliances and has room for dining. Upstairs is home to the master bedroom with private deck (Mt. Evans views!) and bathroom. The other bedroom offers corner windows for extra light and has a bonus room that is great for a playroom for small kids (or great for storage). The lower level has a large bedroom with adjacent walk-in closet. Other bonuses include additional full bath, back yard suitable for play time and just minutes to award winning schools, shopping and more.